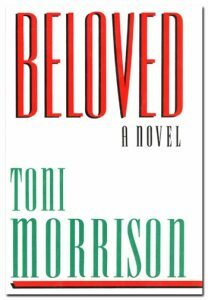 The novel begins in Cincinnati in 1873 as Sethe, a former slave, is living with her 18 year old daughter, Denver. Sethe’s mother-in-law, Baby Suggs, lived with her until her death 8 years prior to the opening of the novel and we learn that his Sethe’s two sons, Howard and Buglar ran away just prior to the death of her mother-in-law. Sethe believes they ran off because of the influence of a malevolent ghost in the house at 124 Bluestone Road, who everyone believes is the ghost of Denver’s dead sister. Denver happens to like the ghost. When the novel begins, Sethe receives a visit from Paul D, someone she has not seen for 20 years. They had both been slaves on Mr. Garner’s Sweet Home plantation in Kentucky. His visit conjures up memories she had not thought about in 20 years. From this point on, the story unfolds in the present, in Cincinnati, and 20 years prior as we learn of the events which took place mostly in Kentucky. The events of the past are recounted in flashbacks. We often read of the same event from different points of view. With each successive retelling, we learn more of what took place. The novel largely unfolds in fragmented memories. We learn that Sethe was born in the South to an African mother who she never knew. She was sold to the Garners at the age of 13. The Garners, who own the Sweet Home plantation, seem to practice a comparatively benevolent slavery. The other slaves, all men, lust after Sethe, although none of them touch her. They are Sixo, Paul D, Paul A, Paul F, and Halle. Sethe eventually marries Halle largely because he distinguished himself by hiring himself out in order to buy his mother’s manumission. The couple have two sons, Howard and Buglar. They also have a baby girl whose name we never learn. By the time Sethe leaves Sweet Home she is pregnant with a fourth child. After the death of Mr. Garner, Mrs. Garner asks her brother-in-law to run the plantation. The slaves refer to him as schoolteacher. He turns out to be sadistic and virulently racist, and his presence makes life on the plantation unbearable, and the slaves decide to run away. However, schoolteacher and his nephews sense that the slaves are plotting to run and manage to capture Paul D and Sixo. Schoolteacher kills Sixo and returns Paul D to the plantation. Paul D believes when he sees Sethe that this will be the last time he will ever see her. She, it turns out, has already sent her children to her mother-in-law’s house, Baby Suggs, in Cincinnati. Emboldened by his capture of Paul D, schoolteacher and his nephews violently assault Sethe. They take the milk from her pregnant body in an act of extreme violation. She does not know it but Halle watches this event in horror from a loft in the barn. After this, Halle goes insane. At one point, Paul D discovers Halle sitting by a churn with butter all over his face. Paul D, meanwhile, is forced to wear an iron bit in his mouth. After Sethe reports these horrors to Mrs. Garner, schoolteacher retaliates by having her severely whipped while she is pregnant. Though scarred, swollen, and severely beaten, Sethe manages to escape. After she collapses in a forest form exhaustion, she is discovered by a white girl named Amy Denver who nurses her back to health and helps Sethe deliver her baby. Sethe names the child Denver after the girl who helped her. Sethe finally makes it across the Ohio river into Cincinnati with the help of Stamp Paid and makes it to her mother-in-law’s home. Baby Suggs cleans her up before Sethe finally sees her children. At first Sethe’s life in Cincinnati is wonderful. She has nearly a month of peace. Baby Suggs is an unofficial preacher to the black community in the area. However, after 28 days, schoolteacher appears to take Sethe and her children back to Sweet Home. Rather than surrender her children to a degrading life of slavery and violence Sethe decides to take her children to a woodshed and kill them. The local sheriff takes Sethe and Denver into custody. A local group of abolitionsists, led by the Bowdins, fight for her release. Sethe eventually returns to the house, but Baby Suggs has sunk into despair. The community shins the house and they are forced to live in isolation. We learn of the nightmarish experiences of Paul D who was put into a chain gang after his attempt to kill Brandywine, that man schoolteacher sold him to. The traumatic experiences force him to lock away his memories and his feelings. He says that he locked them in the “tin tobacco box” of his heart. During a rainstorm, Paul D and other men on the chain gang are able to escape. They head north, and some years later, he shows up 124 in Cincinnati. It is with the arrival of Paul D that the narrative which takes place in the present begins. Just before moving into 124, Paul D manages to get rid of the ghost that haunts the house. Denver, who feels isolated and alone, resents this. Sethe settles in for a decent life with Paul D until one day they happen upon a strange young woman sleeping near 124. The novel suggests, and most of the characters believe, that this woman is the ghost of Sethe’s daughter. The woman even calls herself Beloved. Beloved and Paul D hate each other, and Beloved seems to move him around the house at will and she seduces him. Soon, Paul D learns the story of Sethe and her harrowing choice to kill her daughter which compels him to move out of 124 and sleep in the nearby church. This allows the relationship between Sethe and Beloved to grow more intense. Beloved eventually becomes increasingly manipulative and abusive. Sethe becomes obsessed with pleasing Beloved. Sethe wants her to understand why she murdered her. Denver is disturbed by what she sees at home, and with the help of her teacher, Lady Jones, she leaves the house. Meanwhile, the local community organize to provide food for Sethe and Beloved, and under the leadership of a woman named Ella, who was a leader in the Underground Railroad, they set out to exorcize the ghost of Beloved. As they arrive they find Beloved on the front porch, naked and pregnant. Mr. Bowdin arrives and Sethe mistakes him for schoolteacher. She runs at him with an icepick, but she is restrained. In the confusion, Beloved disappears and she is never seen again. Paul D returns to Sethe to find her dying in Baby Suggs’s bed. In her grief over Beloved, she tells Paul D: “She was my best thing.” Paul simply tells her: “You your best thing.” The novel ends by telling us that this story is not the one to pass on. The tale exists in the memories of the people like a bad dream.